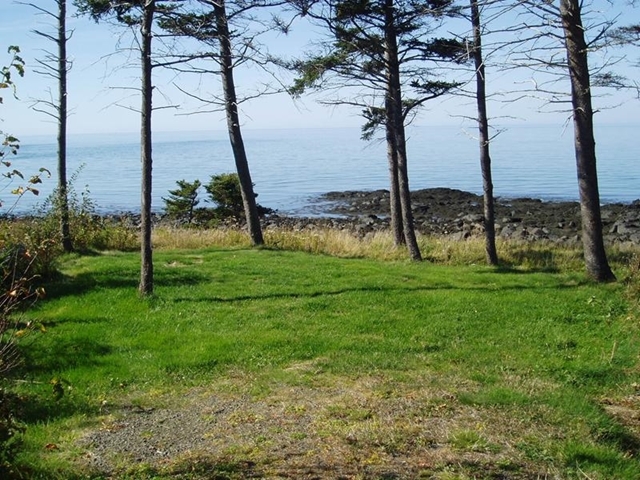 Site #90 is a grassy Oceanfront un-serviced tent site of modest size - accommodating one small to medium size tent. 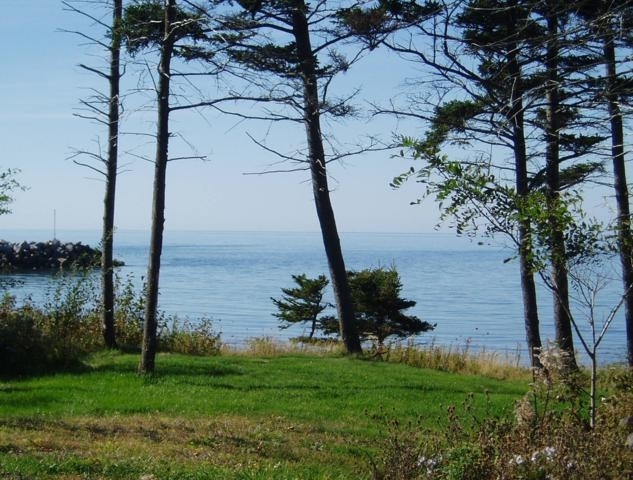 It has direct access to the waterfront, faces West over the Bay of Fundy and enjoys unobstructed views of the sun setting into the ocean. 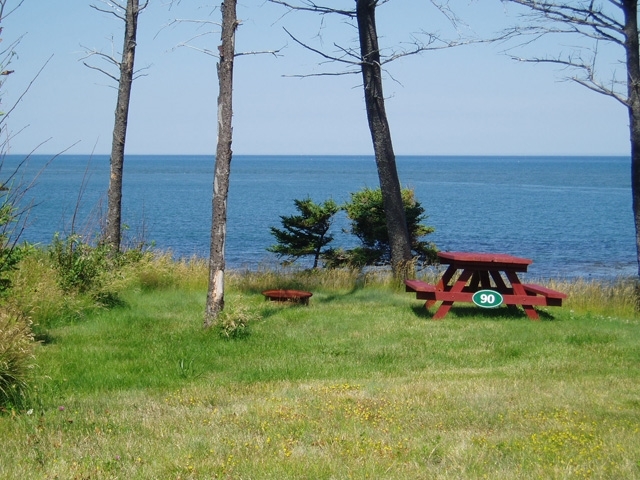 The site is equipped with a picnic table and fire ring, and drinking water taps and portable toilets are a short walk away.